I’m so happy for you congratulations. Your friend Alex. 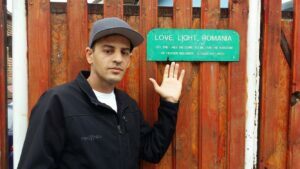 The hardest thing to do is watching so many struggle in a world where not much is around them until Love Light Romania came to their rescue. Jo and Ron do not work just in Medias but several other cities and counties trying to help as much as they can, but they are limited as to what they can do considering they also need our support and help. More to come on this topic soon. I would like to ask you if you are planning to translate your book and sale it also in Romania and other countries? Gabriella – Currently the book is only available in English. Although Izidor would love to have it translated into Romanian in the future, there are no current plans to do so. Thanks. In timing we would like to have the book translated into the Romanian language but first we need to update the book. I watched a video on the Washington Post’s website about you and sought you out. I just want to say a huge thank you and send you love for all the incredibly important and necessary work you’re doing. My boyfriend was adopted from Romania in 1990 after his American parents saw the 20/20 episode highlighting the situation and I am forever grateful for them for doing so. We would love to adopt some day and Romania would be our first choice but research tells me one of us has to be a Romanian citizen in order to do so. Were you able to regain your Romanian citizenship? Anyway, love and peace to you, a very bright light in this world. It is true that in order to do an international adoption you have to be a Romanian citizen and live in Romania for at least a year before the adoption can began. The adoption system in Romania has recently improved. When starting the adoption process it used to take anywhere from one year to ten years before the adoption was completed but now up to one year.